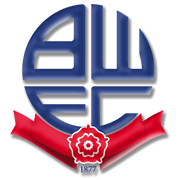 Saturday’s football game at Macron Stadium pits together Bolton and Norwich City. The Trotters are desperate to secure yet another Championship survival and a win over Birmingham City could help them meet the goal. The relegation strugglers failed to win previous four home games in the Championship and seeing that Norwich City are considered one of main favourites to secure automatic promotion to the Premier League. The Canaries have been scoring goals for fun in the 2018/2019 season and despite the fact that they suffered a 3-1 loss to Preston on Wednesday evening, we predict that they are going to beat the Trotters at Macron Stadium. A man to watch in the away team will be Finland international Teemu Pukki, who has netted 21 goals in the English second tier so far this term. Anyhow, we believe that away win should be considered.